Compressed air is often required in demanding environments found in a wide range of industries including; Pharmaceutical, automotive, food & beverage and agricultural where aluminium pipework systems are not suitable. Offering durability to aggressive environments and high resistance to the distribution to corrosive media, our preferred system for stainless steel pipework installation is Geberit Mapress. Offering a pipe diameter range from 15mm – 108mm the Geberit Mapress system utilises a unique sealing method where the fitting is ‘pressed’ onto the pipework using specialist equipment, guaranteeing a seal with no leaks. 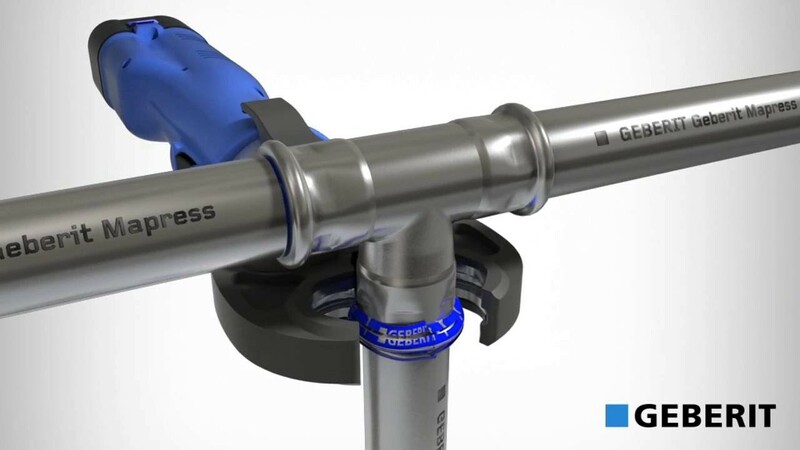 Economical to install, light weight, aesthetically pleasing and efficient in practice, the Geberit Mapress system out performs the traditional screwed stainless steel pipework system in both performance and efficiency. For more information about the Geberit Mapress system or stainless steel pipework installation, speak to one of our team.